ARTS HORIZONS' artist-in-residence programs are a series of hands-on, sequential in or out-of-school workshops that are custom designed especially for your school's needs and goals. They are taught by professional artists who may work on- or off-Broadway, perform in bands or dance troupes all over the world or run their own art studio. Arts Horizons teaching artists are leaders in their fields, experienced in working with children of all ages and receive ongoing training in the State Standards, arts integration strategies and the latest arts-in-education best practices. 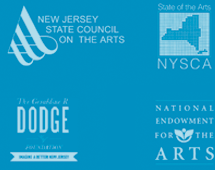 Implement and reinforce the Common Core and NYC Blueprint for Teaching and Learning in the Arts. Provide children with in-depth experiences in an art form of your choice. Fit into your school schedule - may last from one day to a full school year. Include planning session and professional development component. Link effectively with assembly programs that serve more students.